At tonights State of the Union, President Trump is expected to deliver a message of unity, however, the stage is already being set up to be quite the opposite. For example, Rep. Alexandria Ocasio-Cortez, (D-NY), said on Monday she’ll bring an anti-Trump activist by the name of Archila, who made headlines protesting against now-Justice Brett Kavanaugh’s nomination to the Supreme Court. Archilla is best known by most Americans for cornering then-Sen. Jeff Flake in a Senate elevator and pleaded for the Republican lawmaker to vote against Kavanaugh! After her aggression, Flake agreed to delay a committee vote to allow for a brief investigation. Rep. Bonnie Watson Coleman (D-NJ) invited an illegal alien who has violated America’s immigration laws by the name of Victorina Morales. She is a Guatemalan woman living in the U.S. illegally and was fired from the Trump National Golf Club after they became aware that she lied to the Club to gain employment. Morales has been critical of the Trump Organizations hiring practices, especially being they are implementing E-Verify, to check employees’ documentation for legal status. Representative Jimmy Gomez (D-CA) has invited Sandra Diaz, who is a Costa Rica native, and who worked for the President’s club from 2010 to 2013. Diaz now has legal status, but she says she is angry, because of how the President has labeled some immigrants as violent. She is referring to the President’s reference to MS-13 gang members, rapists, human traffickers, and drug smugglers who are mixed in with the caravans. Other Democrats invited guests that have been affected by gun violence to push their position of gun confiscation legislation, as well as, guests who have high insurance premiums, as they push for the government take-over of the healthcare system! Republicans are bringing guests that sadly were involved in and survived sexual slavery, Opioid and drug survivors, and Border Patrol agents who have been begging for a wall and more money and technology to help secure the border. For example, Rep. Bill Johnson (R-OH) invited a police officer who overdosed on the synthetic opioid Fentanyl during a drug bust, when the powder splattered on his shirt following a drug arrest, and Rep. Jeff Fortenberry (R-NB), is bringing Nobel Peace Prize winner Nadia Murad, who is a Yazidi human rights activist and sexual slavery survivor, who was captive under ISIS. Sen. John Cornyn, R-Texas, invited the sector chief for the Border Patrol’s Rio Grande Valley Manny Padilla to be his guest. Rep. Doug Collins, R-Ga., also invited Art Gallegos, the co-founder of the Latinos Conservative Organization, to the State of the Union in an effort to emphasize the need for border security. Elvin Hernandez is a Special Agent with the Trafficking in Persons Unit of the Department of Homeland Security’s Homeland Security Investigations division. He has more than 18 years of Federal law enforcement experience investigating narcotics, gangs, and human trafficking. During his current 7-year assignment, Elvin has conducted numerous successful international human trafficking investigations involving transnationally organized crime groups. Judah Samet is a member of the Tree of Life Synagogue in Pittsburgh. In October 2018, he survived the horrific shooting that killed 11 members of his community. Judah is also a survivor of the Holocaust. Judah immigrated to Israel after the war and was present for the declaration of the Israeli State in 1948. He served as a paratrooper and radioman in the Israeli Defense Forces and moved to the United States in the 1960s. Democrats have announced that they have chosen to have the 2018 Georgia Gubernatorial candidate Stacey Abrams (D-GA) to deliver their response to the President’s State of the Union. Abrams became a nationwide household name when she lost the election and refused to call Brian Kemp the legitimate Governor. Abrams mounted a massive legal team and vowed to have the election results thrown out, as she called for an election do-over. Abrams is also known as a controversial candidate, being she stated during the election that undocumented immigrants / illegal aliens are part of the Democrat’s “Blue Wave” in 2018. 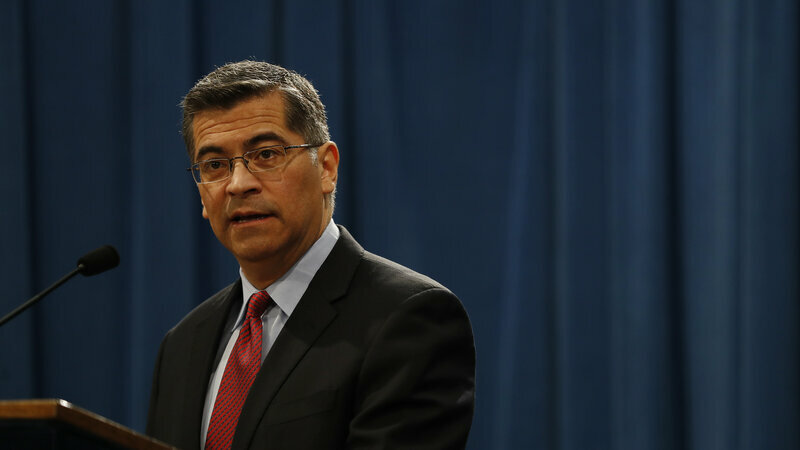 Also, Democrats will have California Attorney General Xavier Becerra deliver the Democrat response in Spanish. Speaker of the House Nancy Pelosi (D-CA) and Senate Minority Leader Chuck Schumer (D-NY) have tapped him to give the response, due to his extreme stance against the President and his pro-American policies. In fact, Becerra has launched a whopping 45 lawsuits against the President and his Administration over the past few years, ranging from his fight to protect illegal aliens, stop the Administration from ending Sanctuary Cities for illegals, preventing the President from building a border wall, protecting Obamacare, forcing Christian employers to violate their faith by paying for contraceptives, fighting against the Presidents Energy Independence initiative, block the President from rolling back the massive regulations that were suffocating corporations, manufacturers, businesses, and cash strapping the American consumers! He has also sued to protect Progressive education policies and curriculum, to protect ‘net-neutrality’ policies that empower Silicone Valley leftists. Also, Becerra has fought for the LGBTQ community by demanding they have access to whatever restroom they choose. Therefore, although the President has called for unity for tonight’s State of the Union, it is abundantly clear that not only have Democrats invited guests to push their Socialist and even Marxist agenda, but they are having two of the most controversial and radical members of their Party to deliver their response to the President’s State of the Union Address! “The president ‘shall from time to time give to the Congress Information of the State of the Union, and recommend to their Consideration such measures as he shall judge necessary and expedient”. As the President is now calling for unity, and although the State of the Union used to be a moment that both Parties would come together, it appears that the Democrats have truly become the ‘party of resistance’, the ‘party of hate’, the ‘party of globalism’, the ‘party of socialism’, the ‘party of racism’, and the ‘party of Karl Marx’! Therefore, it will be difficult for the President to find unity in Washington! Never-the-less, he will strive to find common ground, and if not, he will still forge ahead in solidarity with those in his Party who still believe in America and the American people, but especially with the American people themselves, in his aim to truly ‘Make America Great Again’!